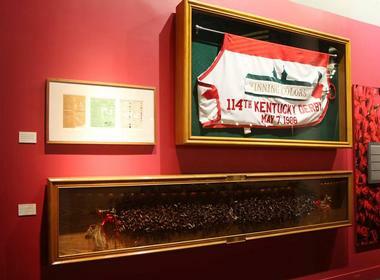 The Kentucky Derby Museum in Louisville is located within the famous Churchill Downs and is dedicated to celebrating the heritage of the historic racetrack and the tradition, hospitality, and pride of the world-renowned Kentucky Derby. One of the top attractions in Kentucky, the Museum aims to engage, educate and inspire the community and visitors about the exciting sport of thoroughbred horseracing. Churchill Downs is a world-renowned Thoroughbred racetrack in south Louisville that is most famous for hosting the annual Kentucky Derby. 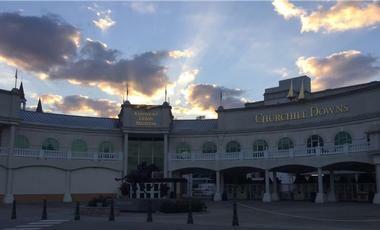 Officially opened in 1875, Churchill Down began its tradition and reputation as being the “Home of the Kentucky Derby,” one of the longest continually running sporting events in America. Churchill Downs is also famous for hosting the prestigious Breeder’s Cup - no less than eight times - and is scheduled to host this event once again in 2018. Opened in April 1985, the Kentucky Derby Museum features a variety exhibits, display, and themed presentations, designed to engage, educate and inspire curiosity set on two levels. The Museum also features a documentary film titled “The Greatest Race” with 360-degree immersive sound and visuals, which explores the history of Churchill Downs and the sport of thoroughbred horseracing, as well as the famous Kentucky Derby race. 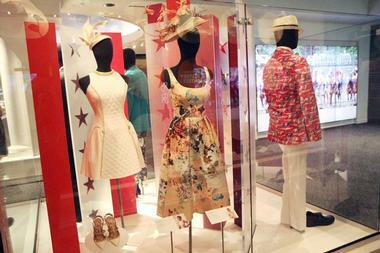 Visitors to the Kentucky Derby Museum can experience the Museum via guided tours, including Around the Track Golf Cart Tours, Barn and Backside Van Tours, Behind-the-Scenes Walking Tours, Historic Walking Tours, Twilight Tours, Horses & Haunts Tours, Derby Week Tours, and a Champions Tour with Mint Julep Tours. The Around the Track Golf Cart Tour is the most exclusive tour on offer and consists of four hours of exploring the history, legacy, and pageantry of the Churchill Downs Racetrack and the Kentucky Derby, watching a morning workout session, visiting the famous infield tunnels, and lunch at a local restaurant. The Barn and Backside Van Tours offer the opportunity for visitors to see thoroughbred horses in their working environment - taking a bath and training for the next race. Visitors also get the chance to see the 1,400 stalls in which the horses live. The Behind the Scenes Walking Tour is a guided walking tour that offers an insider’s view to some of the track’s most select areas, including Millionaires Row, the private members-only Turf Club, and the private Matt Winn Dining Room. Picturesque views on this tour include the legendary Twin Spires, the race track, and the fourth-floor balcony. 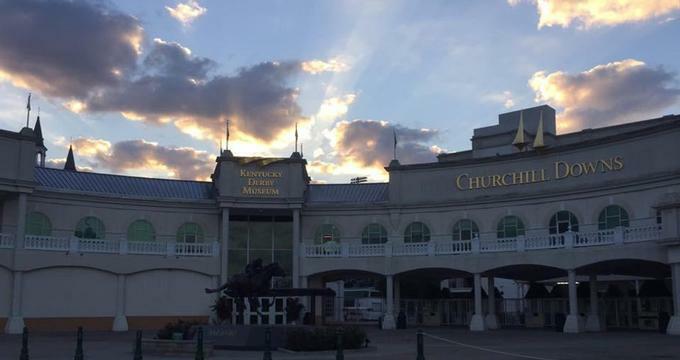 The Historic Walking Tour is a 30-minute guided walking tour of the historic Churchill Downs Racetrack where visitors can learn more about the rich history of this location, past Derby winners, and pet the resident miniature thoroughbred horse. The Twilight Tour affords visitors the opportunity to see the beauty of the race track under the glow of night lights from the famous Twin Spires. The tour takes visitors through the paddocks, courtyards, grandstand, Millionaire's Row, the elegant dining rooms and ends on the balcony next to the iconic Twin Spires with beautiful views over the track. The Horses & Haunts Tour is a 1.5-hour guided walking tour that explores the darker side of the track with stories of legends and lore and other haunted tales. A Champions Tour with Mint Julep Tours includes exploring the Kentucky Derby Museum’s two floors of interactive exhibits, a documentary film titled “The Greatest Race,” and a walking tour of the track. The tour then moves to the Coolmore’s Ashford Stud, which houses the iconic stallion stables stallion barns, which are home to the champions of the track. In addition to a range of informative exhibits and displays, the Museum also offers free educational programs and workshops to public and parochial schools in the states of Kentucky and Indiana that focus on the economics, history and significance of the Kentucky Derby. The Kentucky Derby Museum is located at 700 Central Avenue in Louisville and is open Monday through Saturday 9:00 am to 5:00 pm and Sunday 11:00 am to 5:00 pm. The Kentucky Derby Museum has an onsite café called the Derby Café which serves a variety of healthy snacks, light meals, and beverages throughout the day, as well as The Finish Line Gift Shop, which sells a range of Derby-based memorabilia, clothing, fun items, and gifts. The Museum is also home to a resident miniature thoroughbred that visitors can pet.